Coastal rooms with a beautiful ocean view. 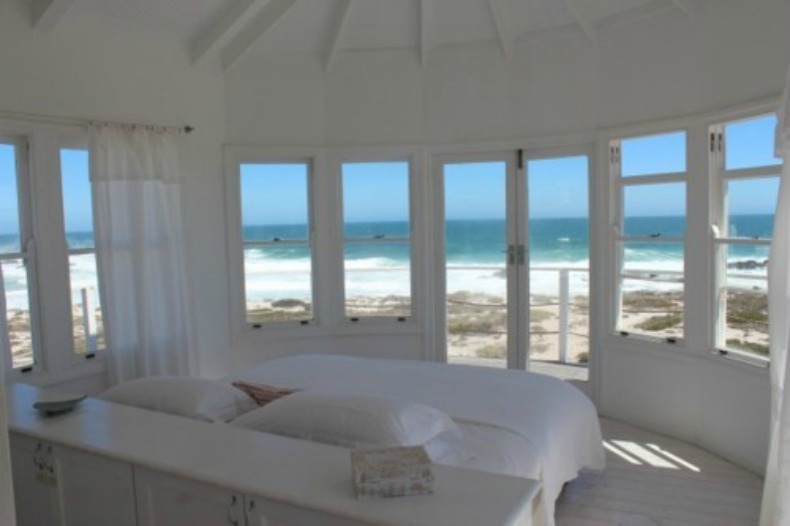 This all white coastal bedroom is gorgeous with the picturesque ocean view. Just a few coastal rooms with beautiful views. Whitewashed wood vaulted ceilings in this beach house bedroom with a wall of windows overlooking the ocean. 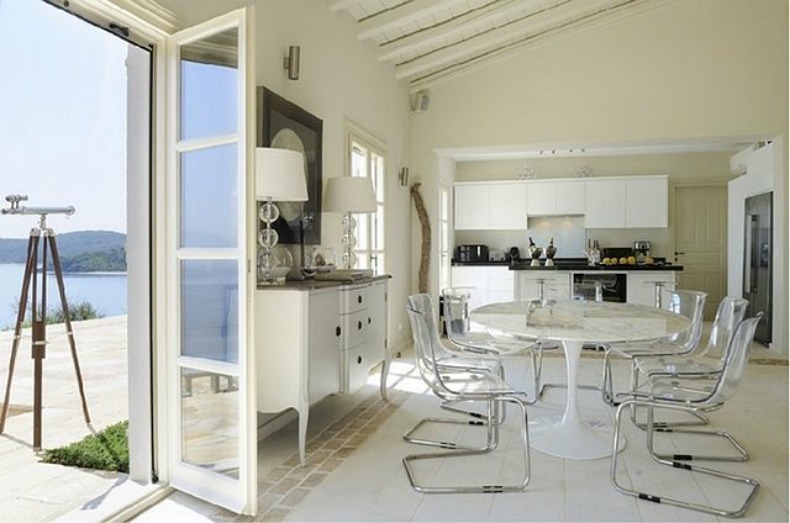 Breakfast with a breeze off the water in this lovely coastal oasis. 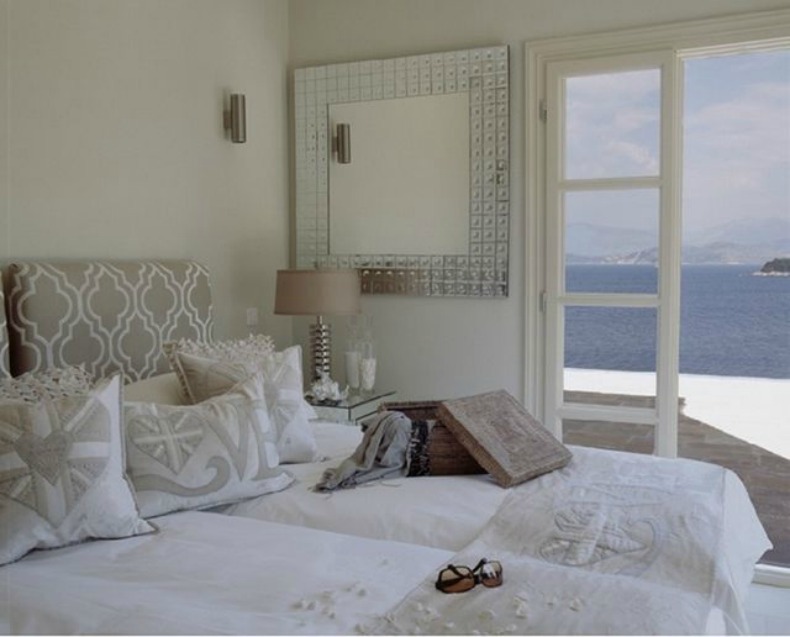 Taupe and white calming, coastal guest room with breath taking views.